Nrf2 Activate users report positive experiences after using the product. These testimonials are followed by research studies that explain why the product is effective. HealthNaturally (the company): “Compared to Protandim and NRF-2 Activator, Nrf2 Activate’s exclusive formula is designed to activate the Nrf2 genetic pathway that regulates the production of important antioxidants such as glutathione and superoxide dismutase (SOD), as well as detoxification enzymes including glutathione- S transferase, while down-regulating inflammatory factors such as NFkB. Each of the ingredients in this product is backed by extensive research in peer-reviewed journals.” Their website is healthnaturally.me. No other product reviews were found at this time. HealthNatually (the company) states: "Nrf2 Activate’s exclusive formula is designed to activate the Nrf2 genetic pathway that regulates the production of important antioxidants such as glutathione and superoxide dismutase (SOD), as well as detoxification enzymes including glutathione- S transferase, while down-regulating inflammatory factors such as NFkB. 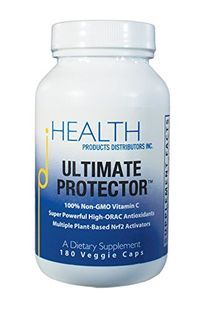 Each of the ingredients in this product is backed by extensive research in peer-reviewed journals." Although references were made to studies done on the ingredients, no studies were found on the product itself.